Fairbanks folks rejoice! FAA has been blessed with a feast, a buffet, a potpourri, a glorious abundance of literary events for the summer months! The next 3 weeks are absolutely packed full of amazing literary readings. As usual, these readings will take place in the lovely Bear Gallery in the Alaska Centennial Center for the Arts in Pioneer Park, 2300 Airport Way. First up on July 18th is the amazing author Robin McLean. 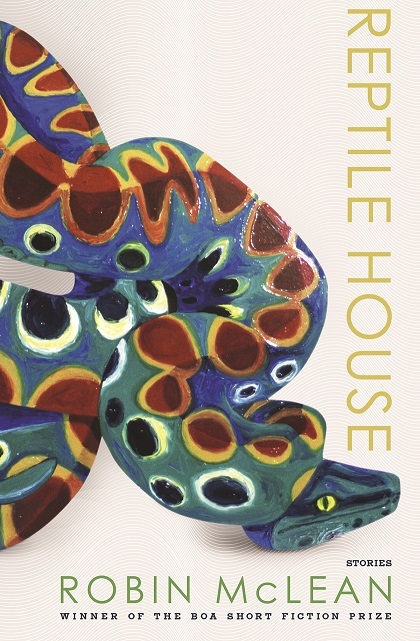 Her book Reptile House won BOA Editions’ Fiction Prize and is making some serious waves in the literary community. This is a special reading, as Robin is traveling to Alaska from her home in New Hampshire on her whirlwind book tour. 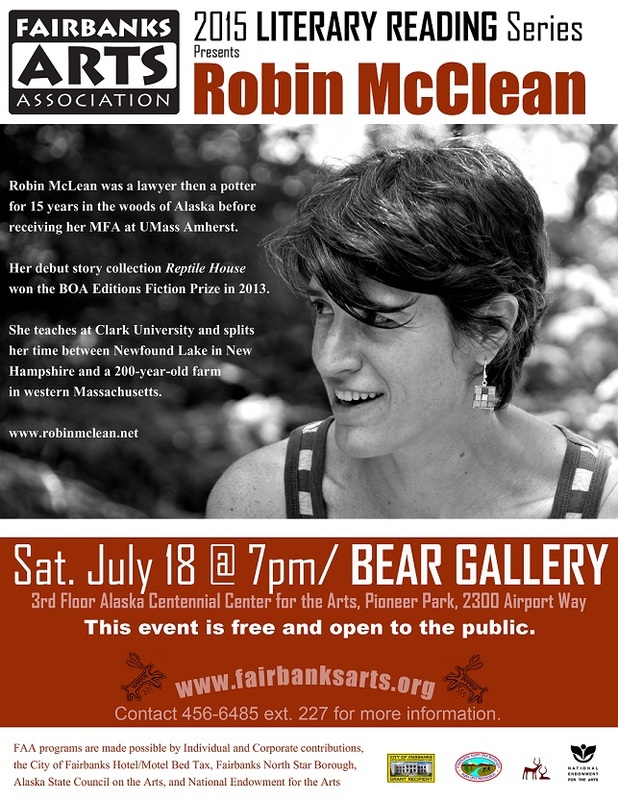 FAA is honored that Robin has made Fairbanks a part of her scheduled tour. For more information on Robin check out her website. 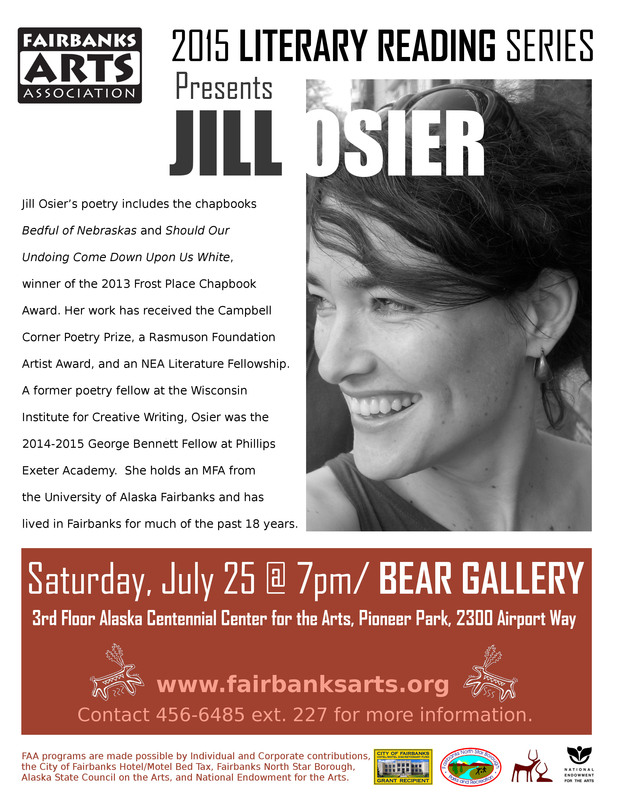 The week after on July 25th, local poetry darling Jill Osier, fresh from her stint as the 2014-2015 George Bennett Fellow at Phillips Exeter Academy, will grace the Bear Gallery with her own unique voice and flowing words.